Even brand-new, A-rated boilers waste water, gas, time and money. 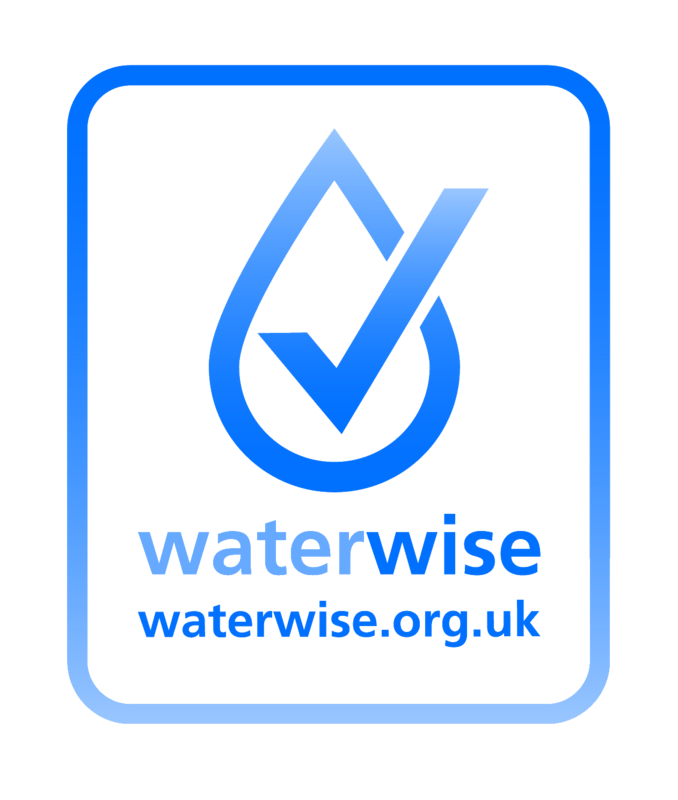 Independent tests show that combination boilers waste the first ten litres of water when a hot tap is turned on. 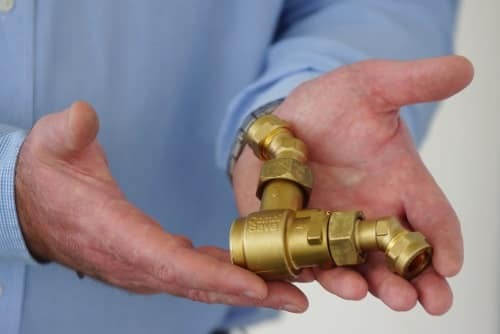 CombiSave is an award-winning British innovation that can help to reduce the amount of water and gas used in the initial heating process, saving homeowners time and money, and helping the environment. To place an order, email enquiries@combisave.com. 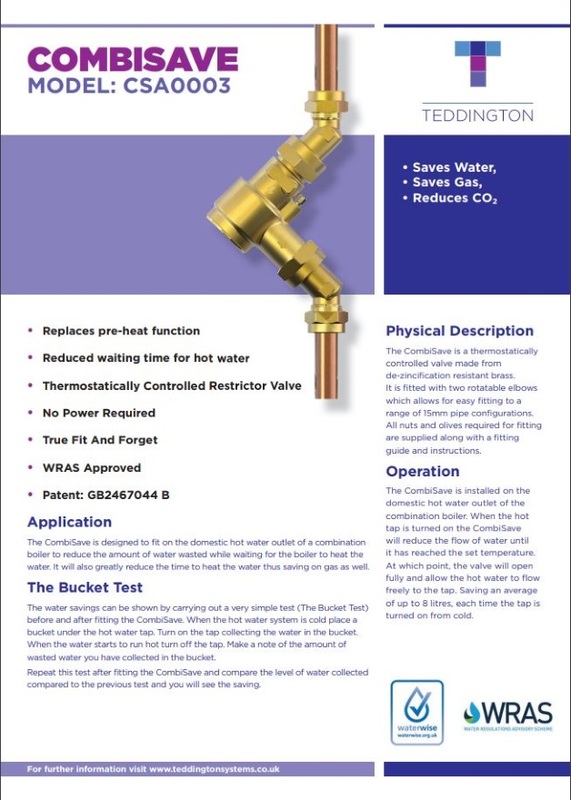 By controlling the flow of water during the combinaiton boiler's initial firing process, the CombiSave accelerates the heating of water and reduces the amount of fuel needed in the process. It can even be fitted to older boilers, so it's a great way of making homes more energy efficient without buying a brand new model. When the hot tap is turned on, the CombiSave reduces the flow of water until it has reached a set temperature. At this point, the valve opens fully and allows the hot water to flow throughout the system. 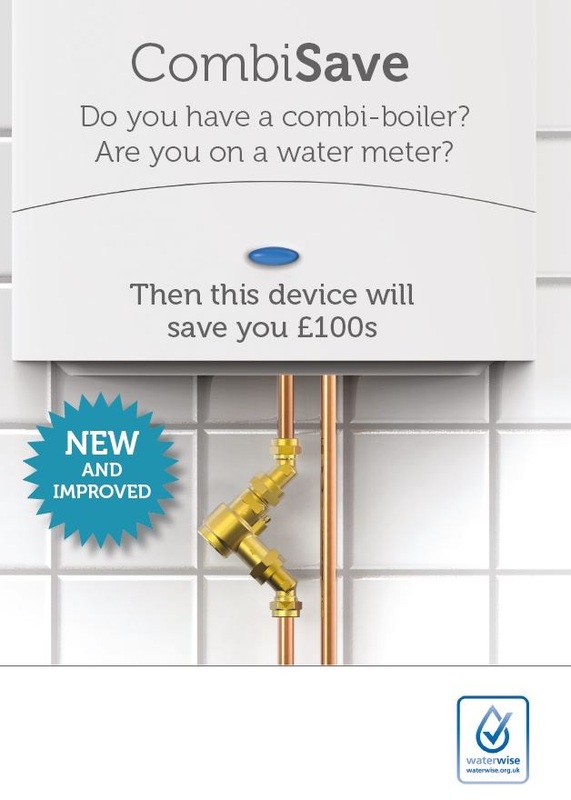 The CombiSave will save an average of 8 litres of water every time the tap is turned on from cold. CombiSave is factory set to open at 45 degrees centigrade. Fitters can raise or lower this setting by +/- 5 degrees centigrade as required. It is fitted with two rotatable elbows, which allows ease of fitting to a range of 15mm pipe configurations. All nuts and olives required for fitting are supplied along with a fitting guide and instructions. For further information about CombiSave, please contact us today.